Biochar grinder, biochar crusher, biochar pulveriser what ever you want to call it we now have a fantastic unit. We call it the carbonator like Arnold Schwarzenegger this beast is unstoppable when it comes to grinding charcoal into biochar. Heck it even says when I switch it off for the night “Ill be Black” . 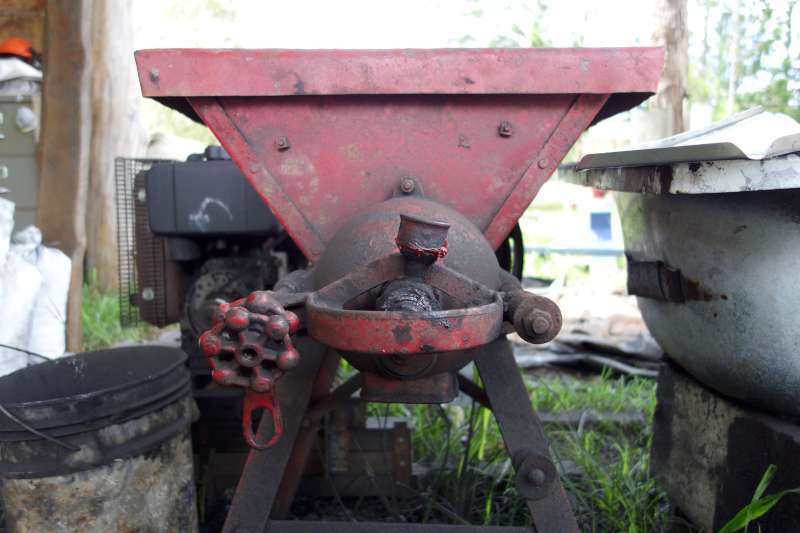 If you remember back a few hundred blog post I wrote about Biochar crushing and how to do it. This post will refresh your memories. Those were the days when our only concern was how to economically and easily grind biochar. We aimed our info at the home users and we had plenty of feed back from you guys on how you did it. Of course we share everything Biochar. The story begins on the 1st of February 2014. The biochar project had just realised a 2011 goal called Biochar Industries. Biochar Industries is a community owned commercial biochar organisation whose goal is to spread the word “Biochar” by making it available to everyone at a greatly reduced price. Well we started our organisation and our 1st customer says I would like 1 cubic meter of Biochar Thanks. 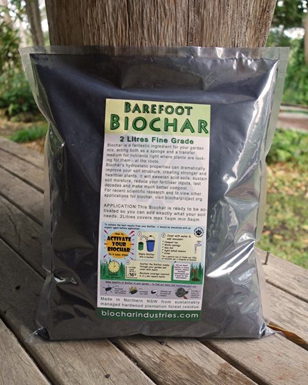 Biochar for sale on the biochar industries website. Awesome of we go we spend a few days collecting fallen trees and processing them into smaller sizes for the Moxham. Then we spent all day and all night adding the wood to the moxham in a very controlled manner. The next day we quench the char and spread it out to cool down. Our nightmare began when we finally realised our old crusher could only do 2 70 litre bags of biochar per hour. Oh boy this was going to be a long week. I persisted and after about 8 1 hour stints on the old biochar grinder. I was nearly there. Don’t get me wrong I love the old grinder it gives you plenty of time to meditate whilst working. It is very fuel efficient 1 tank of diesel lasted me 1 month. But if I got another customer with the same request I would have my self a bottle neck the size of china’s highway. 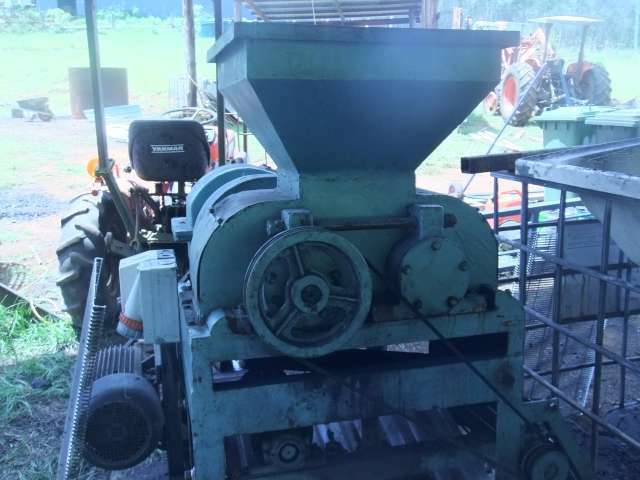 So a few friends lobbed and said they could help me get my project “Hammer Mill” going to alleviate the biochar grinding bottleneck. We got right into it and within a half day we had the unit measured, cut and fitted to its new base. This was going to be the bees knees. We did not have a suitable welder to weld this project up so we decided to leave it to next weekend. Well on Tuesday I get a surprise visit from Jimbo and on the back of his ute is the “Carbonator”. I had plumb forgot he had a biochar grinder for me. Well all day we played around with it as it was powered by 3 phase electricity and we do not have that capability in the char yard. So we figured we could get it to run of a tractors PTO drive. Finally we had it working and out came the stop watches to time how fast Carbonator could grind biochar. Yep you guessed it. 2 70 litre bags in 4 minutes that my friends is the end of the bottle neck. I got some great comments from F.Michael the one I am most attracted to is ” Better get a guard in place on that beast”. 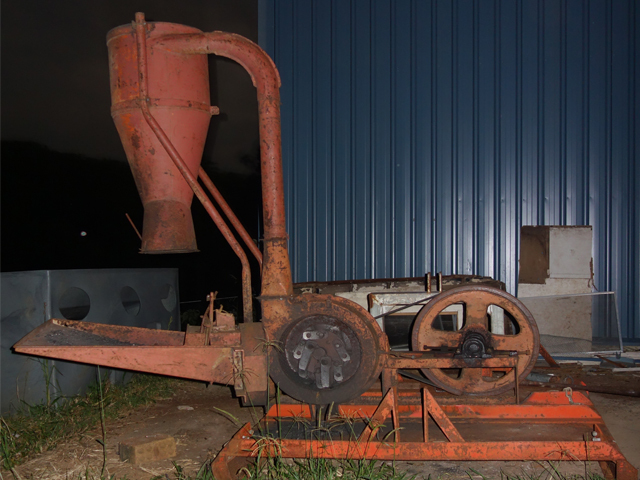 So once again Charmaster Dolph Cooke has come through with the goods on how to crush biochar with this biochar grinder. For a small donation your welcome to bring your biochar over and crush it. Wow! I so want to have this business here in the southeast US where I live (NW Georgia). first time gardening and we used large chunks of hardwood charcoal in 2 of our garden beds. Phenomenal difference. But my husband pounded it to chunks with a sledge hammer. (Labor intensive). Will you please advise us on how to crush charcoal to smaller pieces for our garden? Should we rent a wood chipper? Thanks for the update on your previous article and I am excited that your dear Arnold works so well and so fast. Thanks in advance for the advice! and it does not cost much money at all. Most of the machines I have been given as they were second hand hand me downs. The easyest way to make small chunks at home is to half fill a feed bag and then tie it up and lay it on the road where you drive. Run it over a few times and its all small. Never use a machine not designed to crush char My mentor killed a lawn mower and a wood chipper trying to make small char. I also learnt the hard way using a cement mixer and a cannon ball. I was wonder what the carbonator actually is? As we have a reasonable amount of bio char to crush.